On these pages are details of when railway companies were incorporated, taken over or absorbed, a brief history and where they ran to and from which in some railway company titles is not always obvious. The lists shown on these pages are no where near comprehensive but will increase slowly as I get round to writing up short or more detailed histories of some of the UK railway companies. 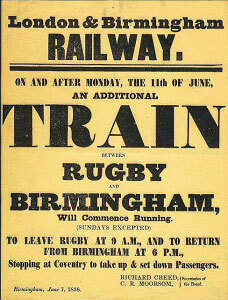 The railway acts list is available from the national archives and only a sample is shown here. If you would like to find out more please look at the research pages by clicking here.